Students from Coe-Brown Northwood Academy’s FFA chapter, recently competed in various Forestry events at the Deerfield Fair. The team placed fifth overall in s tough competition. Several students placed in individual events. 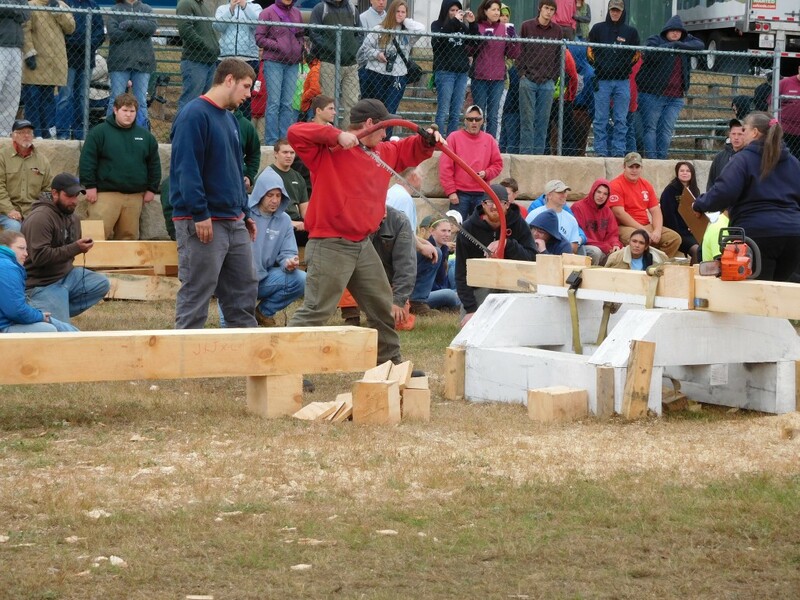 In the wood split, a task that involves splitting a piece of wood into four pieces on the given dot, fourth place went to Bert Rollins. In the log roll, an event that uses a peavey to push logs into pins across a space and back, the team of Nick Jensen and Matt Garrett placed fifth and the team of Tyler Enos and Emery Travers earned eighth place. In the pulp toss, in which partners throw four pieces of pulp back and forth landing the pieces between pins with a goal of earning 20 points the most quickly, the team of Sam Corson and Riley Gaedtke placed fourth and the team of Shayne Henry and Jason Palmer earned a fifth spot. In bow saw, the team of Nick Jensen and Matt Garrett earned seventh place. In cross cut saw the team of Shayne Henry, Bert Rollins, Mariah Valerio, and Jason Palmer also took seventh place. Nik Mewkill and Mariah Valerio earned second and sixth place respectively in the category of tree identification. The team of Tyler Millette and Sam Whitehouse took fourth place in tractor driving while their teammates Dylan Harlow and Tristin Knowles placed fifth in the same event. The second place ribbon for experienced showmanship went to Sydney Wilson. Congratulations to all.